Critical thinking questions for kids engage their imagination and analysis skills. 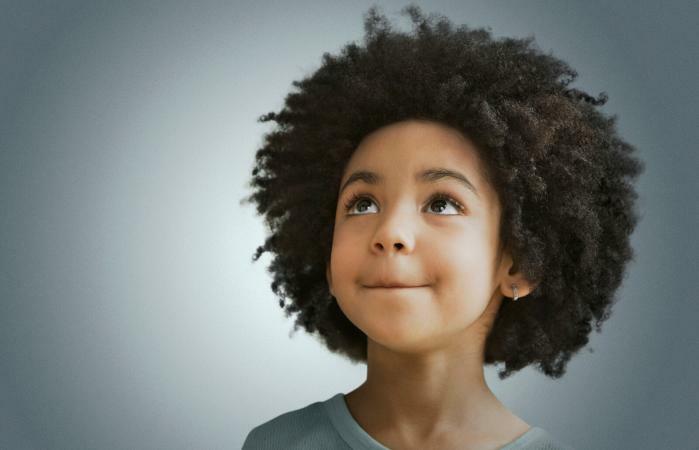 Kids' critical thinking skills develop at different ages, so keep in mind your child's developmental age when choosing questions that challenge their logic and reasoning. Critical thinking is essentially the ability to find information and use it to make sense of something. When kids think critically they can analyze data, compare and contrast things, and make decisions based on the information they have. It's more than just learning to solve problems, it's understanding how to solve problems in different ways. Children ages 2 to 7 are not mentally equipped for complete critical thinking. They learn through imaginative play and language, but can't truly understand the perspectives or motivations of others. Critical thinking questions for preschoolers and kindergarteners should focus on comparisons and reasoning. Do you think your pet could join the Paw Patrol? When Baby Shark grows up, will he still be called Baby Shark? What would you do for fun if there were not TVs, tablets, video games, or smartphones? What could you do to find out how to get to Sesame Street? What do you think your toys do at night? Why do you think cartoon characters wear the same clothes every day? Would you rather be a preschooler or a kindergartener? Why? What would happen if you left your play dough out on the table all night long? What makes you different from the kids in your class? How would your life be different if you had another brother or sister? If you could choose your own name, what name would you choose? Older elementary students ages 7 to 10 start to develop true critical thinking skills. They are able to see someone else's point of view, make logical inferences, and separate fact from fiction. At this age you can start to use more open-ended questions about things relevant to a child's life or classroom lessons to engage critical thinking skills. What makes a Pokémon stay inside a Poké Ball? What could Nerf guns shoot besides foam that wouldn't hurt anyone or make a mess? Do you think Barbie could do all the jobs she does if she were a human? What do you think would happen if your best friend was in charge of ROBLOX from now on? How do you think SpongeBob SquarePants ended up in the ocean with a bunch of animals and creatures? What are all the ways you could get money to buy a new toy if you're too young to get a job? Do you agree or disagree that kids should have gym every day at school? What do you think your teacher does when he/she isn't at school? How could you become a Lego Master Builder? Tweens and teens have developed strong logic skills and are advancing to more abstract reasoning. They can see information from multiple perspectives and answer complex critical thinking questions. Where do you think the name "Fortnite" came from? Could you play a sport with a ball from a different sport? For example, could you play basketball with a volleyball? Video games evolved from only using handheld controllers to VR headsets. What do you think will be the next great gaming invention? How could you classify everyone in your class into exactly five categories? Why are there so many Disney Princesses, but no characters called Disney Princes? How would your life change if your were sucked into your favorite book? Do you think middle schoolers should still have recess? Is it better for kids to play video games or watch TV? What are some ways you could learn a new language without taking a class? Who do you think has an easier life, middle schoolers or their parents? If your parents disappeared, how would you survive? If art imitates life, which famous painting best imitates your life? Whether you're using the questions at home or in the classroom, the key is to give kids ample time to respond. Critical thinking is not about speed, it's about being thorough. Play brain games that incorporate logic and reasoning skills. Have kids use the scientific method steps to solve social problems or other problems that aren't science experiments. 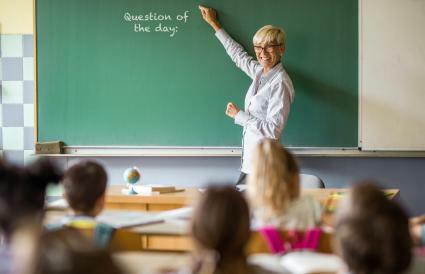 Write a question of the day on a dry erase board and ask kids to write their answer in a journal during down times. Use kids' puzzles in creative ways like asking small groups to complete them without talking. Make a list of items and ask kids to sort them into logical categories. Print out children's brain teasers for kids to solve after completing a test or homework assignment while waiting for everyone to finish. When reading a story or watching a video, stop frequently to ask questions that require deeper thought. After teaching a skill ask students to suggest other ways of teaching it. Discuss current events that are kid-friendly and host debates that cover both sides of timely issues. Every child's brain is filled with pathways where information can travel. Cognitive activities for kids like asking critical thinking questions help build and solidify these pathways to increase your child's thinking abilities.